So you are planning to start a new website to promote your business? But have you prepared yourself to invest in building a site from scratch? Well, it is essential to know that be it the e-commerce business or service based site, creating a website from scratch requires good time and money investment. But when you have WordPress, a popular CMS (Content Management System) platform, then why spend extra money over building a site from scratch. According to this study, WordPress runs 32% of the entire internet and presently has more than 19.5 million websites running under this CMS platform. Some of the top sites worldwide that run on WordPress. This includes- USA Today, CNN, Time.com, National Post, etc. To be more precise, there are 17 posts published in every second on WordPress sites, making it the most preferred CMS platform. They have their website but aren’t helping to push their business. It is because they aren't using the right tools to promote. This is when WordPress comes to the role, which has also increased the demand for selecting the right WordPress development company. A reputed company offering WordPress Development service works on every aspect of developing a site helping the business to reach out to the target audience. Moreover, using the right tools along with proper content development planning will strike a balance between cost and promotion. Since WordPress is free and is an inexpensive hosting platform; small business owners can manage it efficiently. The platform has thousands of top-quality free and premium themes and plugins which can suit your business product or service. Customers and visitors when visiting your site, the first thing that comes into their notice is the design which catches their attention. If your website fails to do so you may lose potential customers. So selecting from the vibrant market of themes and plugins, businesses can have the benefit over it. Custom WordPress Development services gain the benefit of using this platform because of the easier customization. From the design to the backend, everything is manageable if the theme is a paid version. Be it SEO, content management or placing ads, WordPress offers easy customization for its users, which eventually benefits the website in its ranking. WordPress is SEO friendly and has well-coded themes helping to build a search engine friendly site. For instance, you will find a number of WordPress SEO Plugins allowing you to optimize contents manually and automatically. Additionally, there are tools available helping to add rich snippets further enhancing the search engine listing. In simple words, WordPress enables the developer to create an SEO properly, which can boost the site ranking. WordPress blogs are common and straightforward to use and share. Business websites using WordPress can implement a blogging section to promote existing and new services. If the company has its content management team, then creating keyword rich content and posting it on the blogging part will help in getting more target audience. WordPress has genetic coding themes, user-friendly plugins and easy to maintain features which make its components developers friendly. Any good WordPress development company has experts developers and can efficiently manage WordPress sites. Multiple people can manage a WordPress site at the same time led by expert coders, who test the site for smooth functioning. That allows the website has to run without any error and should be quick enough to help in fast browsing. WordPress built websites are highly reliable, making the platform business and user-friendly. There have been many cases of website information getting breached which invited colossal loss to the business. 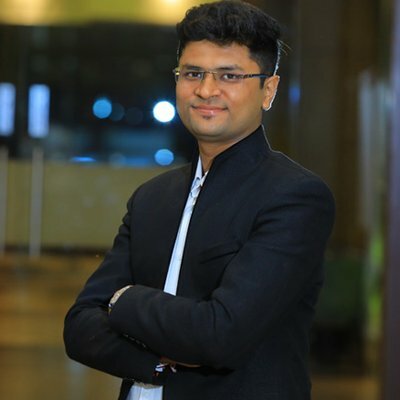 For instance, an e-commerce site which has millions of customers and their data can be vulnerable to hack, resulting in data loss and customer trust. Since WordPress is the most widely used CMS platforms, coders, and WordPress development services work hard to keep every site theft free. Using modern techniques and tools, web developers can prevent WordPress website getting hacked. This is the most significant benefit any business can have to run the website built on WordPress. According to the statistics, the global mobile using population until January 2018 has reached 3.7 billion. Moreover, there is an increase of 51.2 percent in the use of mobile web surfing. Today, more and more smartphone users are using mobile internet to browse and shop. Since WordPress sites are mobile friendly, businesses can have the benefit of getting traffic out of it. There are hundreds of themes and plugins for WordPress which are mobile friendly and help to create responsive websites. Business-centric WordPress website needs a team for coding and a support. This will help to manage the site from every perspective. The best thing about WordPress is it gives users the ability to work simultaneously on the website with different permissions. The can also support many plugins to make things organized and easy to use. With proper organizing of the site, it makes easy to create content and monitor. Since WordPress is the most prominent CMS for content, there is a vast set of the community having developers and designers working towards the seamless work of the WordPress sites. Businesses can hire WordPress developer all around the World to manage their site if got stuck due to hacking or due to backend issue. If the budget of the company is reasonable, then hiring an in-house team of developers is also an option. Many organizations building websites on WordPress feel that they need to spend money to get a more professional team. But the good thing is WordPress grows along with the companies using it. Whether the company is a startup or established one, WordPress has a broader reach and serves for around 23 billion pages spread over millions of websites. 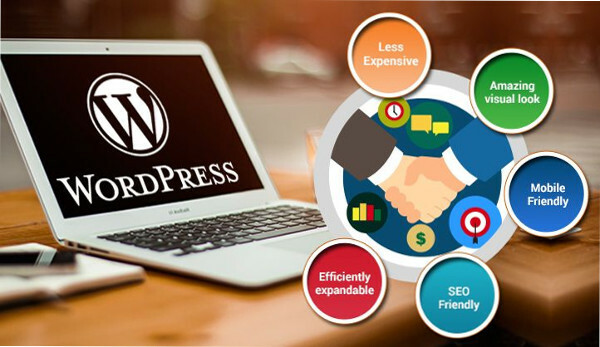 There are no second thoughts that WordPress is user-friendly Custom Management System and the most affordable investment for an online business. Running a website built on WordPress is a good investment in the long term. The best thing about WordPress is many professional coders and developers are backing it to work seamlessly. Whether your business belongs to e-commerce or e-learning, hiring professional WordPress developers is a long-term positive investment you can have. It is free, hence cost-effective; it is regularly updated, therefore the website remains up-to-date. Since top e-commerce and tech companies are running their site on WordPress, you can rest assured that your website will rank ahead without much of an investment.